I am designing an icon for card decks. What I did is to stack five rectangles with white fill as shown below. I am wondering how to make the white fillings transparent while keeping the stack overlapping looking? I have tried Union and Subtract, but it didn't really work. I hope someone has a quicker / neater way to do this but here is one way that will give you the effect you are looking for. With your file as it is displayed above. Select one of the rectangles (not the top one). Double click on the shape itself to allow you to edit the path. Click on the path everywhere it goes under another rectangle to add new vector handles in those places. Then use the scissors tool to cut away the segments of line that would be hidden behind the other rectangle(s). Do this for the four rectangles that are behind others and leave the top one alone. Not the answer you're looking for? Browse other questions tagged sketch-app icon or ask your own question. 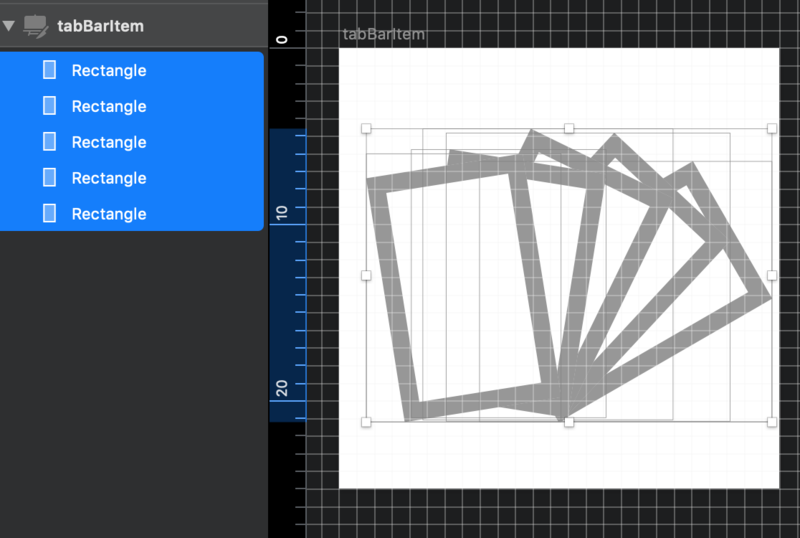 How to sort artboards by artboard order in the layer list in sketch? Sketch: how to merge shapes?